Margaret A. (Graff) Osterhaus, 83, of Topeka, KS formerly of Seneca, KS passed away Wednesday, March 7, 2018 at the Providence Living Center in Topeka, KS. 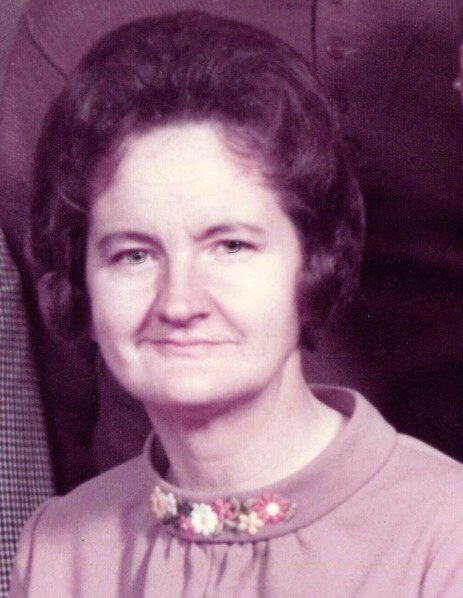 Margaret was born October 2, 1934 at Havensville, KS the daughter of James and Anna (Zillig) Graff. She was welcomed into the family by her three older sisters. She moved with the family to Corning, KS in 1935 where she attended school, graduating from Corning High School in 1953. Margaret married Joseph Osterhaus on February 11, 1956 in Corning, KS. They made their home in Seneca, KS. They were later divorced. To this union was born three children: Joanne Louise, James Francis and William Joseph. After her divorce, she moved to Terrace Heights and volunteered at the meal site. Margaret was severely injured in an auto accident which killed her mother in 1953. She was a member of the VFW Auxiliary, The American Legion Auxiliary, and attended the United Methodist Church all in Seneca, KS. Due to ill health, Margaret entered the Providence Living Center, formerly Indian Trails in Topeka, KS in 1992. She loved to bowl, play bingo and cards. She loved to watch sports. Margaret was the local carrier for the Kansas City Star for several years, she loved people. She was a helping hand to many. She was preceded in death by her parents; her daughter, Joanne; her son, James; and sisters, Lois Dandliker and Edna Mills. She is survived by a son, William Joseph Osterhaus of Seneca, KS; a sister, Vivien Venneberg of Holton, KS, and a niece and two nephews. Funeral services will be held Wednesday, March 14, 2018 at 10:30 a.m. at the Seneca United Methodist Church. Visitation will be one hour prior to service time at the church. Interment will be made at the Corning Cemetery. Memorial contributions may be made to the Nemaha Valley Community Hospital, sent in care of Popkess Memorial Chapel, 814 Castle, Seneca, KS 66538.